At STG we work hard and have a lot of fun! The STG team has brought together a wealth of sports and technology knowledge, and capacity for excellence, hard work and all round humour. Meet the crazy team working to shift the Sports landscape with cutting edge technology! Just one of Gary's many activities... singing atop mountains! Nelson Mandela on the field in a Springbok jersey meeting the teams before the 1995 Rugby World Cup Final in South Africa. My personal experience entering the Atlanta stadium for the opening ceremony of the 1996 Olympic Games. I participated in the 1992 IIHF World Championship (Group C2) for South Africa.. and no one actually believes that South Africa has an ice rink. The entire Rio 2016 Olympic experience: specifically day one of competition, and watching Canada’s men’s volleyball team beat Italy to make the quarter-finals at the Rio 2016 Olympics, in the Athlete’s village surrounded by Team Canada teammates. The energy was amazing!! I’ve written a TV series, that has yet to see the light of day. Shootout win 8–7 against New Zealand in 2015 to Qualify for the Rio Olympics. 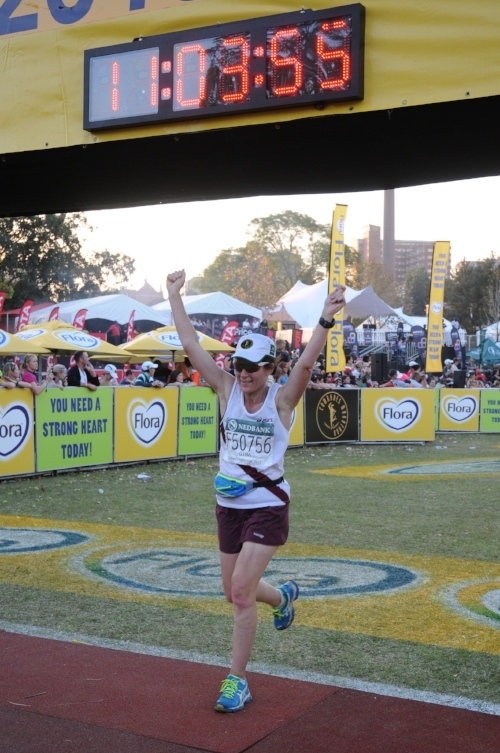 Gina finishing 91.1km, and somehow having fun!